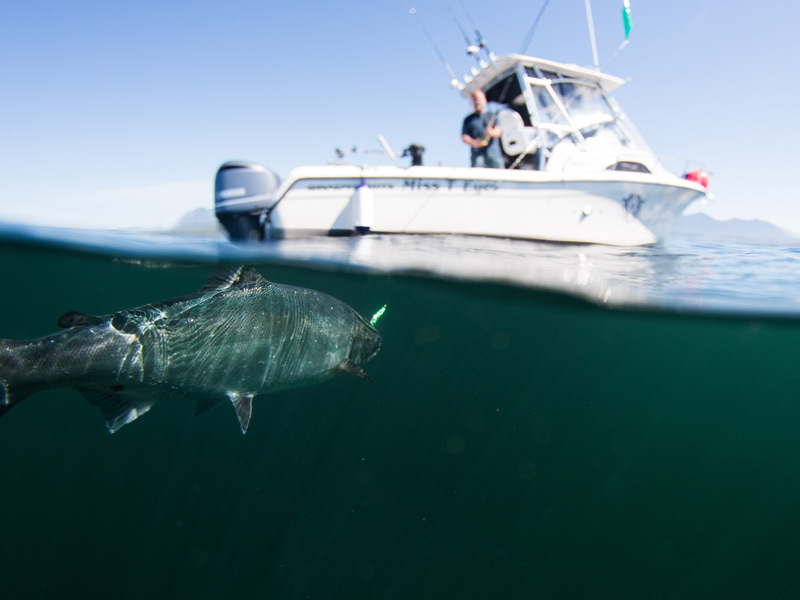 We are proud to bring you the best fishing itineraries that Tofino has to offer! Saltwater fishing for salmon, halibut, and a variety of rockfish. We recognize that recreational anglers the world over are becoming more conservation minded and that dream fishing vacations don’t have to include keeping the fish. It’s about being out there… in the salty ocean air, on that secluded mountain lake, down that pristine river. If you’ve got conservation in mind, you’ll love our catch and release fishing initiatives. Aside from catching what you will eat for supper, we encourage catch and release for all of our sport fishing programs to ensure the continuation of the species for future generations. We use barbless hooks specifically designed to limit mortality rates and handle fish as little as possible to ensure healthy survival after release. Our guides go to great lengths to ensure that we utilize state of the art technology like barotrauma descending devices to maintain long-term sustainability of local and migratory fish stocks. Our fishing programs aren’t about maxing out limits, nor about catching the largest fish. We encourage our clients to keep only what they will eat for dinner. We invite you to join us on our most popular fishing excursion — an offshore fishing charter! We offer half and full day charters with departures in the morning or the afternoon. These charters target Pacific Salmon, Lingcod, Rockfish and even Albacore Tuna (in the right season). Our offshore fishing charters also offer excellent wildlife viewing opportunities, as we commonly encounter whales, porpoises, seals, and a variety of other marine life on our trips. Whether you are a seasoned pro or a first time angler, this fishing experience is not to be missed! We're big on family time and we love to take kids and moms fishing. Tofino offers excellent "family-friendly" fishing areas with calm, protected waters, and lots of fish. Our family fishing excursions offer exceptional fishing for Lingcod and a variety of Rockfish. All of our boats are equipped with haulers and we have plenty of traps, so if you and the kids want to ply the depths for Dungeness Crabs or Prawns that is also an option! 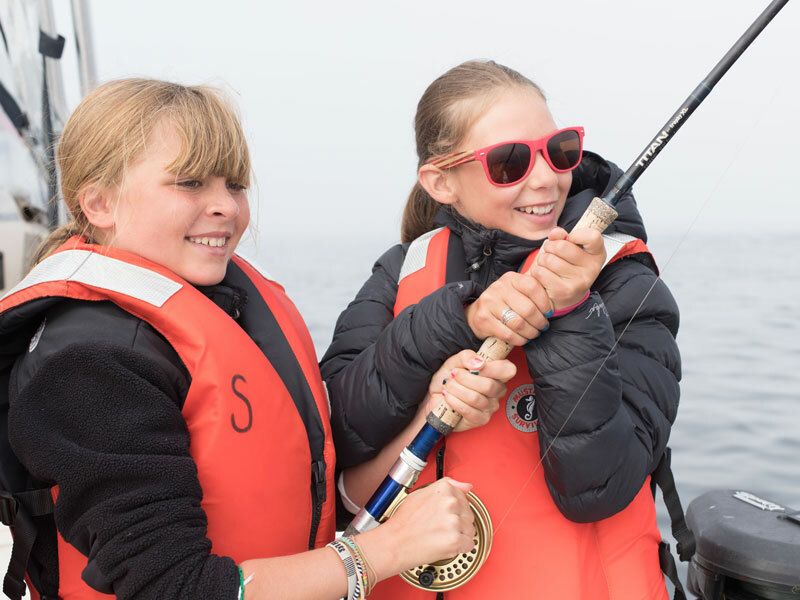 Come discover why kids of all ages love fishing with us. Each individual who wishes to fish on a saltwater fishing excursion must have a tidal-water sport fishing license. Please purchase and print out your personal fishing license before you leave for your fishing adventure. To purchase a license, visit the Fisheries and Oceans Canada website. Please bring full rain gear. We fish rain or shine! Please bring any food and beverages you wish for. If you would like us to organize a lunch for you, we would be delighted. Simply call our office at 1-877-906-2326. All of our fishing packages can be booked online. We recommend booking in advance, especially if you are visiting in the summer as our boats fill up quick. Please note that online bookings must be made at least 24hrs in advance. If you would like to make a booking for a time within the next 24hrs please call our office for availability. Make sure you read & understand our booking policies and waiver terms before processing your reservation. THREE PERCENT FOR THE FISH! We implement a 3% surcharge to all fishing charters (both fresh and saltwater) to support local enhancement projects throughout Clayoquot Sound. This initiative ensures that clients have hands on participation in the viability of the resource for generations to come. CURIOUS ABOUT RECENT FISHING CONDITIONS IN TOFINO? Check out our latest Fishing Report from our lead fishing guide. Fishing reports are usually updated on a monthly basis from March to October.